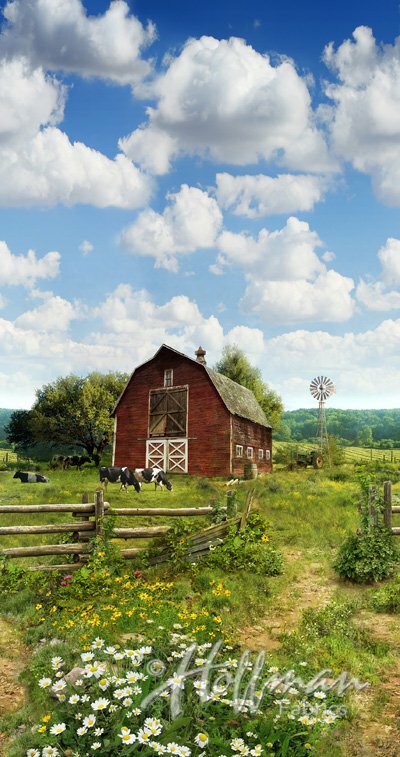 Hoffman American Byways - Barn P4328 SKY - Digital Panel with barn and farm scene. A Hoffman Spectrum Digital Print. Panel measures 24" x 42-44". 100% cotton.